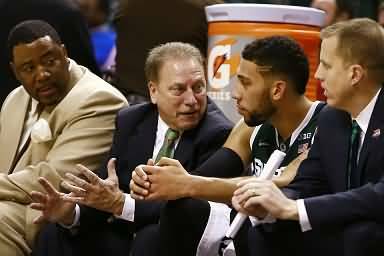 This basketball article discusses March Madness and how mental and emotional stamina are big factors for successful teams. With March Madness in full swing, and 68 college basketball teams competing in a single-game elimination contest for the 2016 NCAA National Championship, I have been thinking about what it will take for several teams to get to the Final Four and one team in particular to win it all. Given the number of athletically talented players on various teams, I was wondering if there could be something outside of all the statistics kept in a game that propels those few teams to keep on winning and the one fortunate team to embrace that shining moment of winning the championship game. Is there anything that helps a group of basketball players to collectively endure all the pressure and stress of a very competitive series of games where one loss will send a team home? On Sunday, just several hours before the selections committee would be announcing what colleges would be going to the big dance, I decided to watch the Atlantic Ten championship game between VCU and St. Joseph's. While the game stayed close in the first half, St. Joseph's started pulling away in the beginning of the second half and eventually found themselves up by twenty points. Then, at a critical moment, one of the St. Joseph's players was called for a foul and within seconds was called for a technical and then kicked out of the game. VCU then made five out of six shots from the foul line, and then in the next few minutes had gone on a fourteen to four run to bring St. Joseph's lead down to eight points. You could see that the VCU players were becoming more confident and were asserting themselves at both ends of the court. At one point, I was wondering if the St. Joseph's players could hold it together and not become overwhelmed by what was taking place since one of their players had been kicked out of the game. With less than five minutes remaining in the game, I could see the St. Joseph's players staying focused and not overreacting to any missed shots or fouls called. And, by the end of the game, the St. Joseph's had built their lead back to fifteen points and were able to cut down the net after winning the Atlantic Ten championship. What that championship game crystallized for me is that the difference between the teams that do not make it through the first and second rounds, and the small group of teams that will make it to the Sweet Sixteen and Final Four, will be the "EMS Factor". It is the teams with the most EMS - emotional and mental stamina - that will win their games and move through the various rounds around the country. Those groups of players who can endure the difficult and challenging moments of a game, or series of games, and do not come mentally or emotionally unglued and break down, will be the players who can keep winning. It is the ability to stay mentally centered and committed to keeping one's emotions under control. No matter what is happening in a game, or is showing up on the scoreboard, it's believing that one is always in the game and if one stays focused on his task or responsibility in that moment, the game will take care of itself. I think that there several things that players can do to build up their emotional-mental stamina so that they are mentally strong and mentally prepared to play their best game. Players need to create a compelling story in their minds about their journey as a member of that team and what they have contributed to the success of that team. They see themselves as the heroes who have overcome various obstacles and challenges to become better and more successful on the court. They see themselves playing big because they believe in the greater good and want to do whatever they can to support their team and collectively make themselves a better team. Also, the players can produce their own internal highlights film where they can mentally review those personal highlights from the season where they were effective, productive and successful in a practice or game. And along with this highlights film, each player should visualize and mentally rehearse how they want to move and maneuver for different plays and game-time situations. Last, I think that it will be the group of players who believe and feel that they have the most to prove and/or the most to play for that will win their game in each round and find themselves in the Final Four and have an opportunity to win the national championship.